The Instant Online Quote will require a series of questions about the sign installation. A price will be displayed and emailed to you after you are completed. Custom Created Quotes will be processed by a live staff member after you are contacted. Are we re-using an existing pole? All poles must pass current engineering requirements. The need for additional or new pole(s) may incur additional fees. 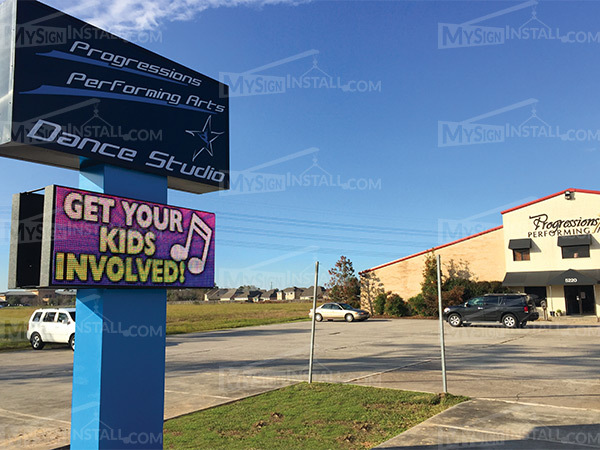 Signs over 35' in overall height will require a custom estimate. Upload any photos of the existing sign that may help in determining sizes and equipment needed for the modification.